In our effort to create the ultimate and engaged community, Hallsley students are encouraged to expand their minds through reading this summer. Residents of Hallsley who are enrolled in middle school, high school, or college in Fall 2017 are encouraged to participate in the East West Institute Summer Reading Enrichment Program. Read one or more books from the approved reading list and complete a survey explaining the impact the book had on you to earn cash! *Includes a $100 bonus for going above and beyond by reading 4 books! To earn these cash rewards, choose from 43 life changing and inspirational books on our reading list, and tell us how their powerful message impacted your thinking by writing a thoughtful essay on each book. The program runs through August 31st and all eligible and complete submissions will qualify for the awards. Additionally, the best ‘life-changing’ essay will be award an extra $1,000 scholarship! For more information on the program, including the application and rules, please click HERE. If you have any questions, please email summerreadingprogram@eastwestc.com. 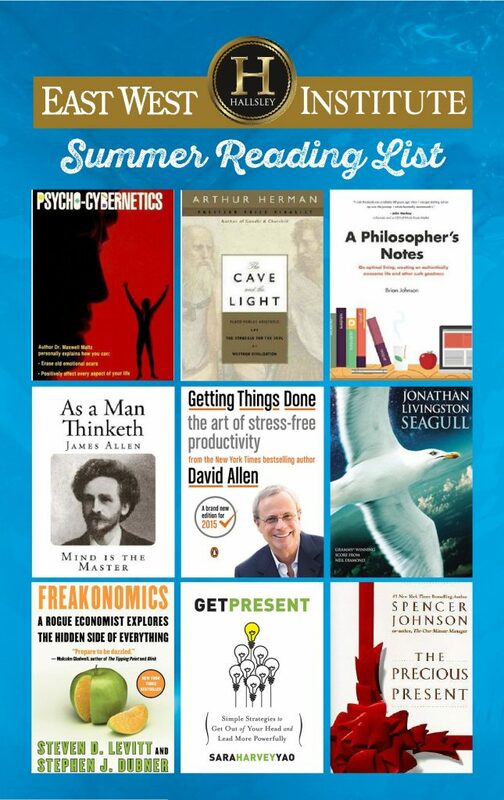 To download the reading list, click on the image below.